Please Pre-Poo. 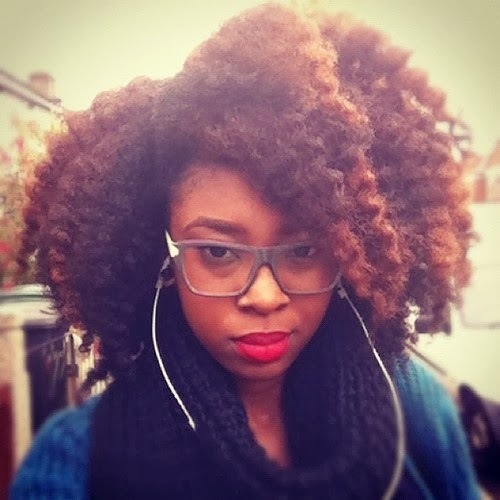 For those of you unfamiliar with the term, pre-pooing is a process in which naturals use an oil and/or conditioner on their hair before washing it. This process is supposed to minimize shedding and breaking during the washing and styling sessions. The more lubricated your hair is, the easier it will be to work through your strands and the less breakage you’ll have while applying your conditioner of choice. Apply Heat. This step is important because it helps open the cuticle of the strand. This is especially pertinent to naturals with low porosity hair since their cuticles are tightly bound. By opening the cuticles, the strands of the hair receive the conditioner and reap the full benefits. You can use a steamer which is a great way of opening up those cuticles, but less expensive options include heating up your deep conditioner or using a plastic cap formulated for deep conditioning. Not to mention, you can get a little body heat from doing housework or taking a brisk walk around the neighborhood. Do Section Your Hair. I know some of you naturals are dead set against any type of hair tool but sectioning clips are some kind of wonderful for me. They help me figure out where I am and where I am about to go. Generally, I use three to four clips for my deep conditioning session. Afterwards, I bunch up the section of hair that I am planning to condition and apply conditioner to the ends and entire hair shaft. Once I am done, I twist the hair in at least 12 to 15 sections. Finger Detangle First. Out of all the tips I am going to give you, finger detangling is one of the most important. I have seen my hair shedding and breakage cut down in half when I implement finger detangling in my deep conditioning sessions. Using my fingers, and in particular my thumb fingers have saved my precious strands. Even if you want to use a tool then do so. However, my recommendation is using it after your deep conditioning session. Your hair will be more pliable and by taking it a step further and using a leave-in, less hair will be loss. Wait It Out. If you slab on some conditioner and only let it sit for 5 minutes then I am afraid you are not really deep conditioning your hair. Generally, deep conditioning sessions are at least 15-30 minutes, and I believe that is if you have a nice amount of heat to open the cuticles. If not, make your session at least an hour. Your hair will thank you for leaving it on a little longer than what the directions say. Just make sure you rinse your hair thoroughly when you’re done. What are your deep conditioning dos and don'ts? !